The beauty that is food. Every time I smell something good, it's like I'm transported back to a specific memory, a time that I would never forget. One of the things that I really hold dear to my heart would be when my lola and mom would cook together. The fact that they are Kapangpangans makes a whole lot of sense when you get to taste their cooking. It's like it's in the blood. That's why I'm happy to say that I finally tasted Chef Den Lim's Capangpangan cooking and it definitely took me back. Chef Den Lim is the person behind the famous Denlim's Kitchen. It's a home based project that offers private dining only. To get a slot into this coveted meal means calling weeks and even months in advance. 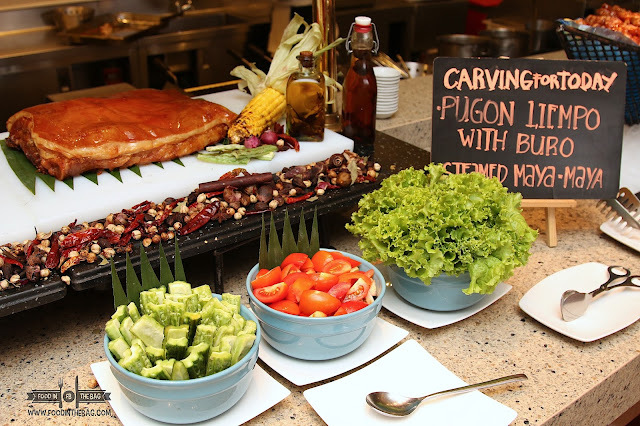 Thankfully, Holiday Inn Makati brought in Chef Den and partnered up to have some of his dishes in the buffet spread. 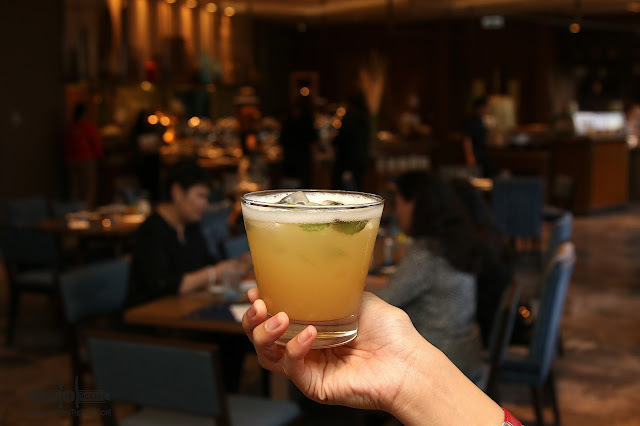 To start things off, a welcome drink with a tamarind base was served. 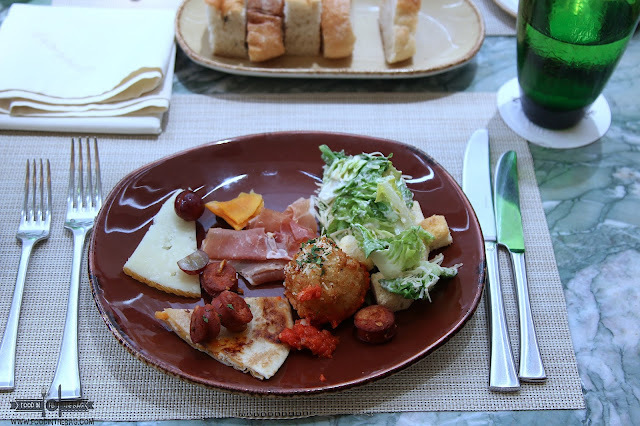 Something similar to what Chef Den Lim has in his home restaurant, Holiday Inn gave it a little twist just so as to let the guests have a taste of what's to come. If you're a little bit unsure of what to get first, you could try out their version of the roasted chicken. 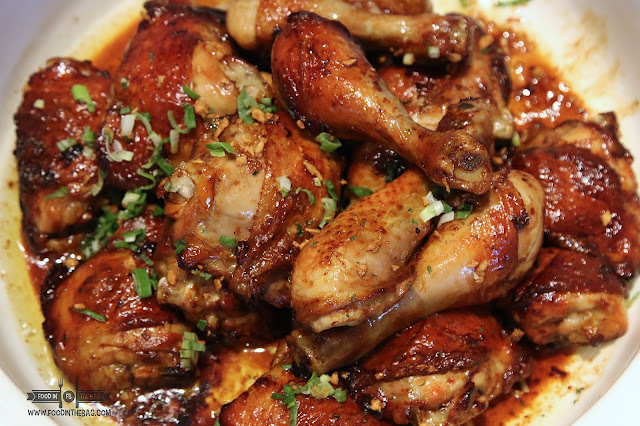 Glazed with a soya based marinate, the meat is moist and flavorful. 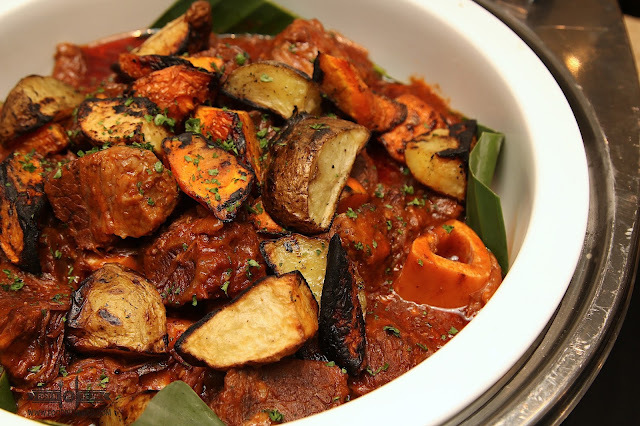 Time for something more serious, head on over to the old fashioned beef mechado. What's interesting here is that this meat is cooked for hours upon hours. You get to see the texture is quite different from other dishes of the same class. The meat stands on its own and didn't disintegrate which usually happens if cooking isn't done right. 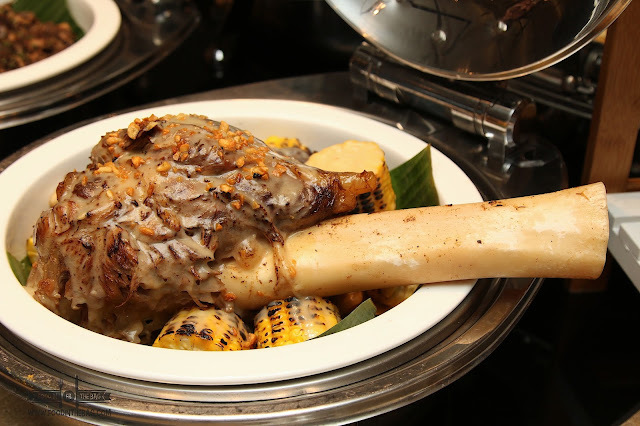 A behemoth dish, the CAVEMAN BEEF SHANK is the chef's version of a sizzling bulalo. The meat is tender and goes extremely well with the mushroom sauce. Speaking of, something saucy, the CRAB MARLEN is just amazing. 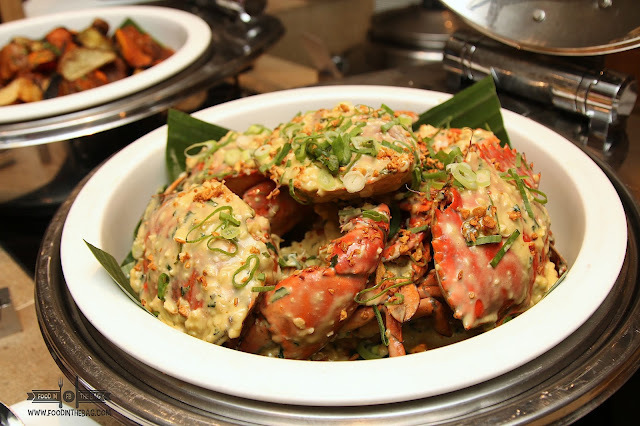 Made with a large number of salted egg, this crab dish is just excellent. One way of eating it is to partner it with plain rice and scoop all the excess juice and sauce into your plate. From here, eat it slowly just so that you could enjoy every bite. 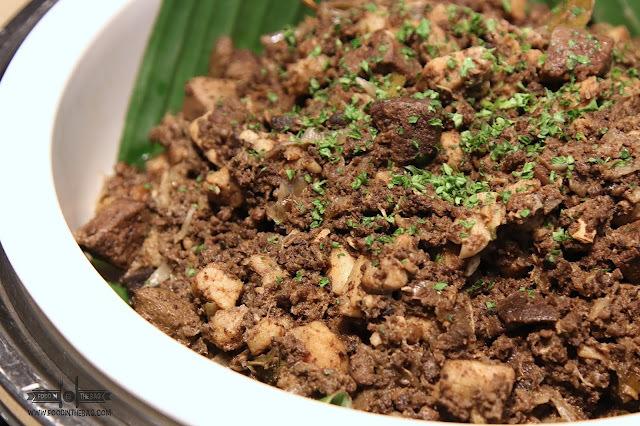 Another very interesting dish by Chef Den Lim, the KILAYIN CAPAMPANGAN. 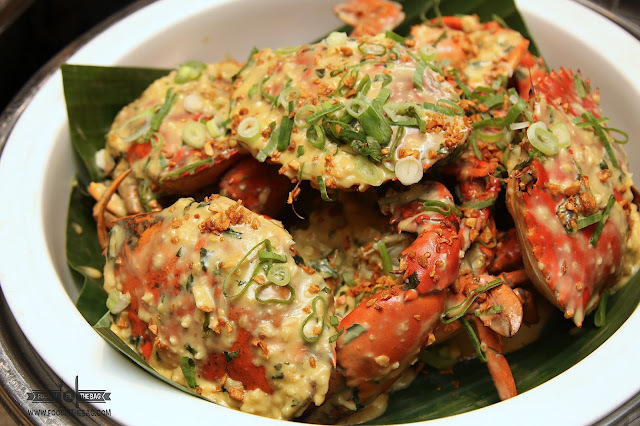 When he describe this dish as something very local, you could see it in his eyes how passionate he is about it. The way he mentions how it is usually served in street side eateries and how he cooks it with vinegar to give it that sour and acidic flavor. Similar to the bopis, this one is another must get dish. 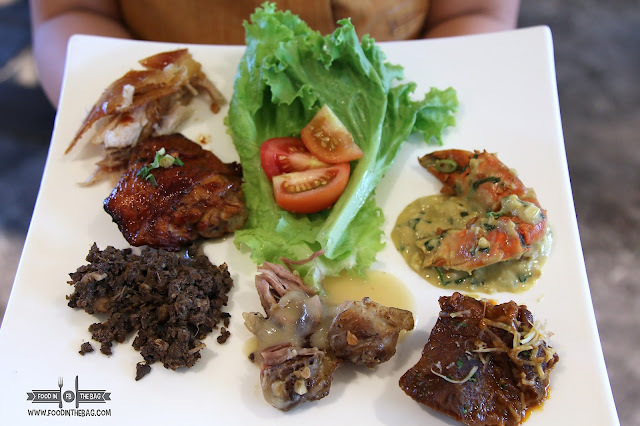 If there was one dish not to be missed, it would be this PUGON LIEMPO. One could actually eat it on its own or wrap it with lettuce and other vegetables with the chef's home made buro. The meat is tremendously soft. The skin, on the other hand, is crunchy and just perfect. To have it with the Pork Buro is just amazing. For the uninitiated, buro is fermented rice usually with fish or shrimps. His version is with pork. Quite interesting and delicious to say the least. You got to make some room for the pasta. Chef Den Lim created the PASTA CORRITO. 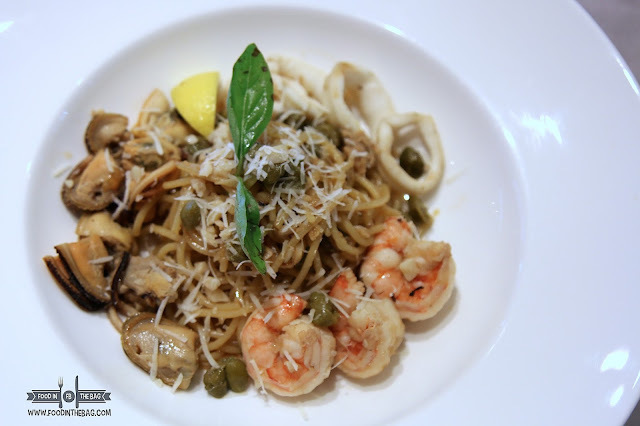 A rich seafood noodle dish that has shrimps, mussels, seafood brine, capers, and extra virgin olive oil. I can't really explain it but it made me get doubles. As always, other dishes and food stations are present from Holiday Inn's Flavors. 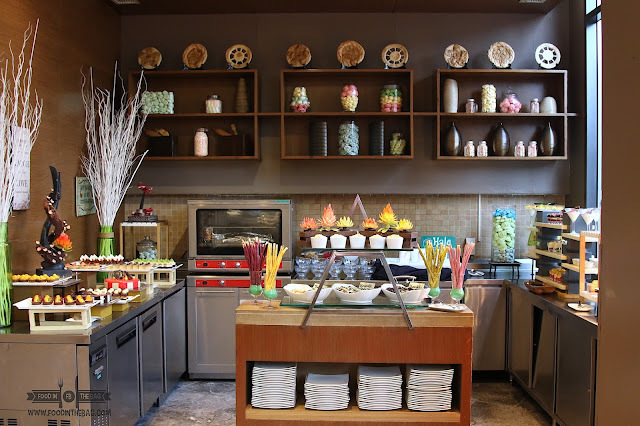 You could go for some sushi, grilled seafood or barbecue, noodles, and the dessert station. 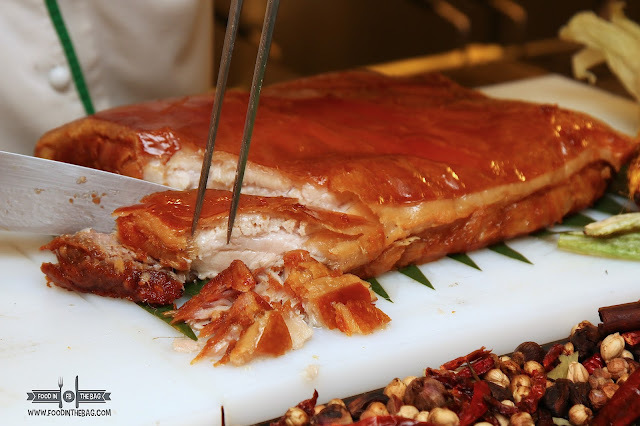 Chef Den Lim and his creations will be at FLAVORS in HOLIDAY INN MAKATI. From October 10-19, 2017, his dishes would be available for both lunch and dinner. 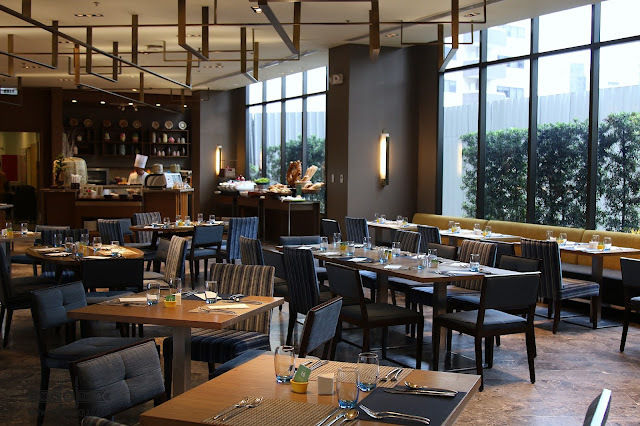 Pegged at Php 1,818 nett, it's quite a steal as you don't need to travel up north or even reserve way in advance.